MACTAN, Cebu — What was traditionally a companion event for the main IRONMAN race the 2018 Alaska IRONKIDS Cebu presented plenty of excitement and drama. Moira Erediano and Zedrick Borja ruled the13-14 Girls and Boys categories here at the Shangri-La’s Mactan Resort and Spa August 4 but they had to pull out all the stops to overcome the determined challenge of other competitors. Not a gifted swimmer Erediano ground out the win through sheer persistence and heart. She emerged from the water way back in seventh place one minute 19 seconds behind leader Gene Heart Quiambao. She submitted the best bike time and climbed all the way to second after the transition to the run just 15 seconds behind Quiambao. She caught up to Quiambao and took the lead just 400 meters into the run. She then set a blistering pace to extend her lead in the run to finish almost a full minute ahead of second Nicole Marie Del Rosario. 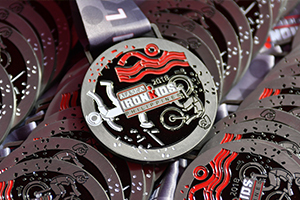 Erediano posted back-to-back victories in Alaska IRONKIDS triathlon after winning the IRONKIDS Davao last March. She also posted back-to-back victories last year in Subic and Cebu although she was in the 11-12 Girls category. Quiambao eventually fell short of a podium finish after she was outsprinted at the finish by Jeanna Mariel Caneta who finished six tenth of a second ahead. However, the future looks bright for the 13-year-old, 5-foot 9-inch Quiambao. She competed in only her first triathlon and even swam 10 seconds faster than Borja who was the fastest swimmer in the Boys category. While there was plenty of drama in the Girls category the counterpart race of the boys was simply electrifying. Borja came out of the water first but Clifford Pusing trailed so closely they submitted identical times. Borja was again ahead of Pusing after the bike but they were so close that they again submitted identical times. The two ran side by side up until the sprint to the finish line. They embraced after the finish not even aware who won. It took a few minutes but Borja was officially announced the winner by one tenth of a second. Borja and Pusing also placed first and second in Davao. Earol Belonquil took third ahead of Gian Taylor in another neck-and-neck finish. Belonquil beat Taylor by three tenths of a second. 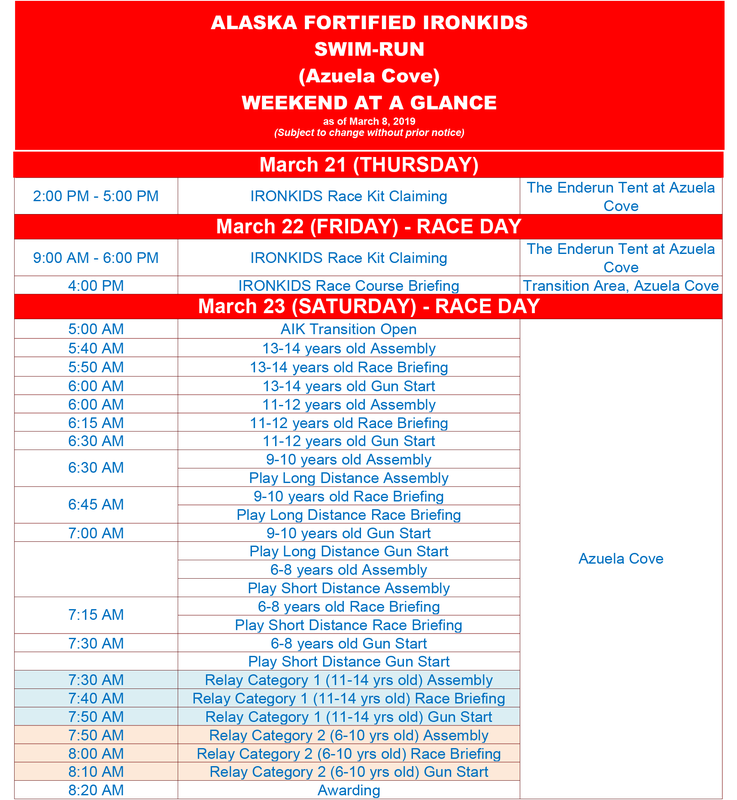 The 2018 Alaska IRONKIDS Triathlon Cebu is the culmination of a year-long calendar of triathlon activities for young boys and girls who are six to 14 years old. 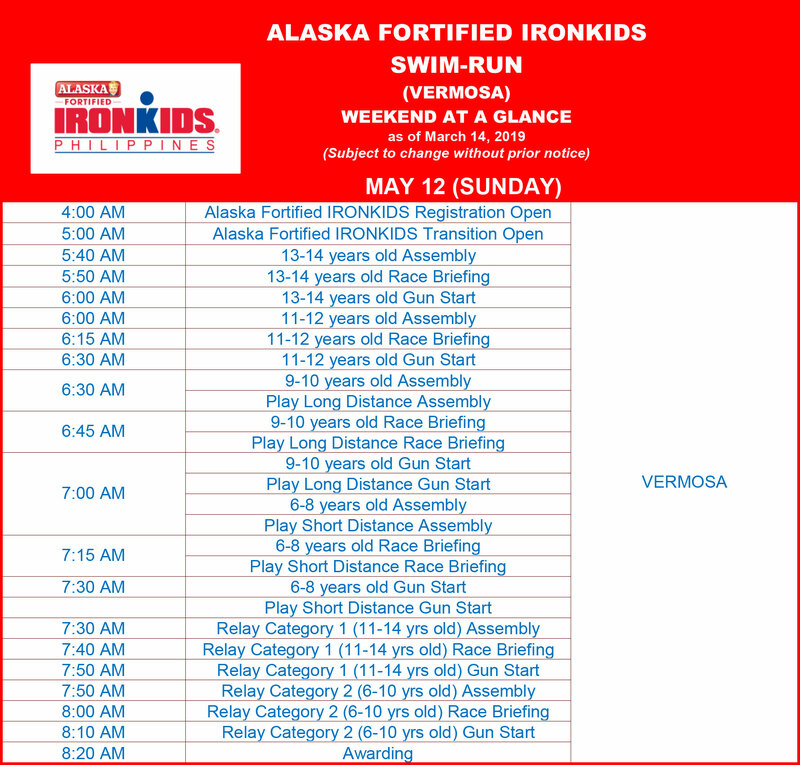 The Alaska IRONKIDS is a venue for families to bond with parents showing their children that being physically fit and healthy is more fun. Alaska plays an important role. It is not just to provide nutrition but also to encourage children to have an active lifestyle and develop important values like sportsmanship, proper attitude and respect for others.